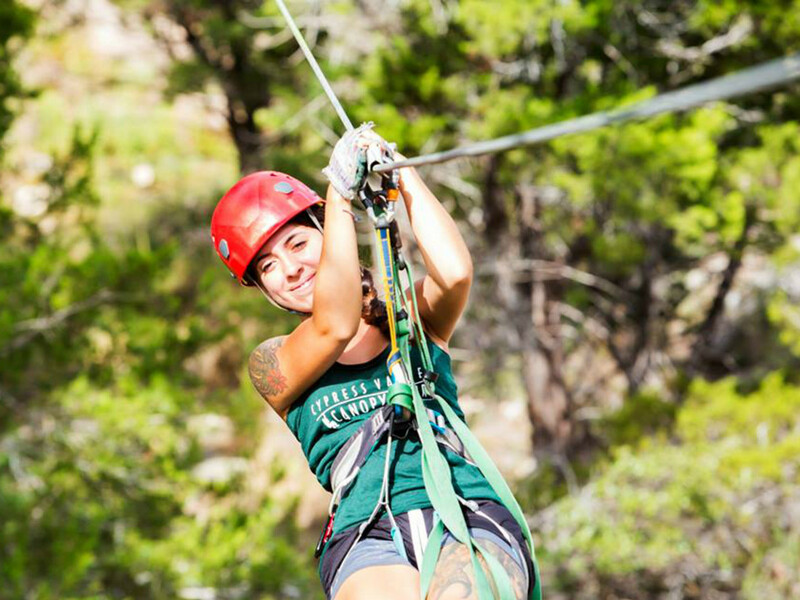 Adrenaline junkies, this guide's for you. 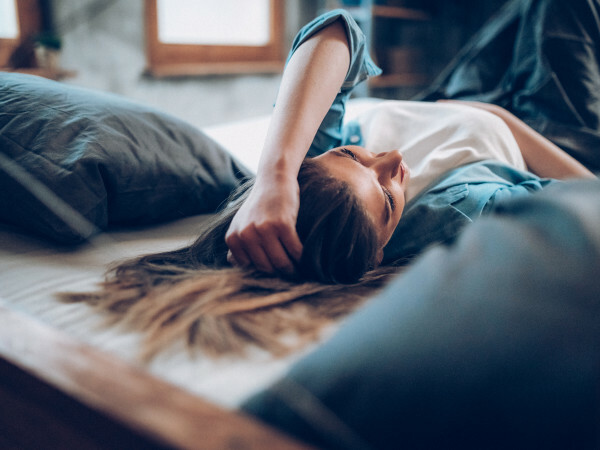 We've rounded up the most extreme things to do in Austin, activities guaranteed to satisfy for your need for speed — and excitement. 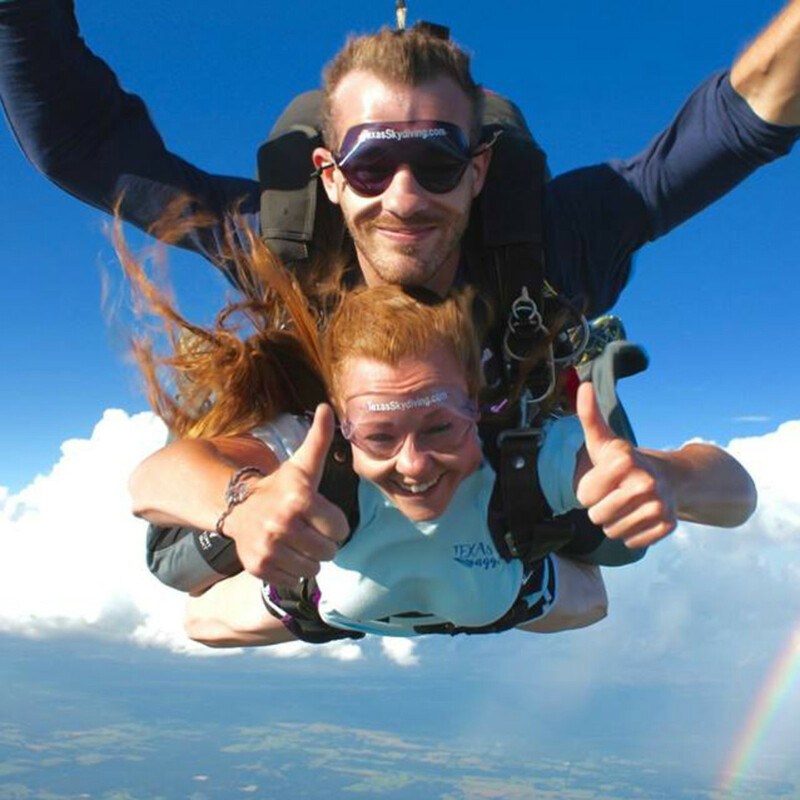 Nothing says pure exhilaration like jumping out of a plane. 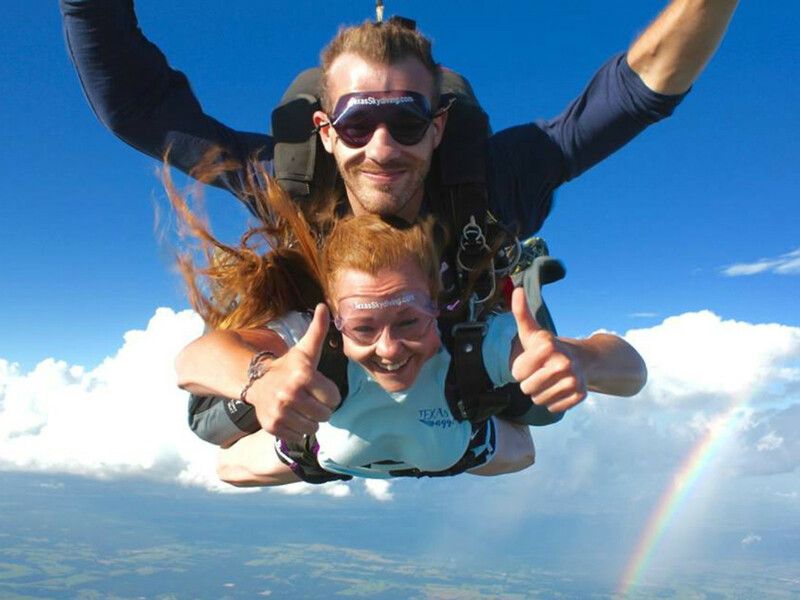 Skydiving Austin Texas and Skydiving Over Austin offer tandem packages for your first jump. You can also hit up the Texas Skydiving Center for in-depth, one-day skydiving classes. Explore the skies — and learn how to hang glide — at Fly Texas. You'll start with practice runs off a hill, then upgrade to more advanced flights. There's also a tandem package available. Zoom along a zipline through the trees of Spicewood at Cypress Valley Canopy Tours. 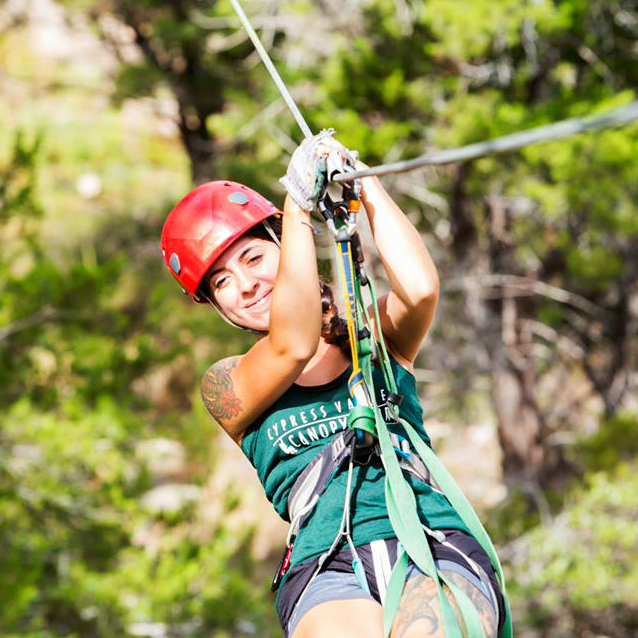 The treetop tour offers multiple ziplines and skybridges and ends with a rappel down from the platform. 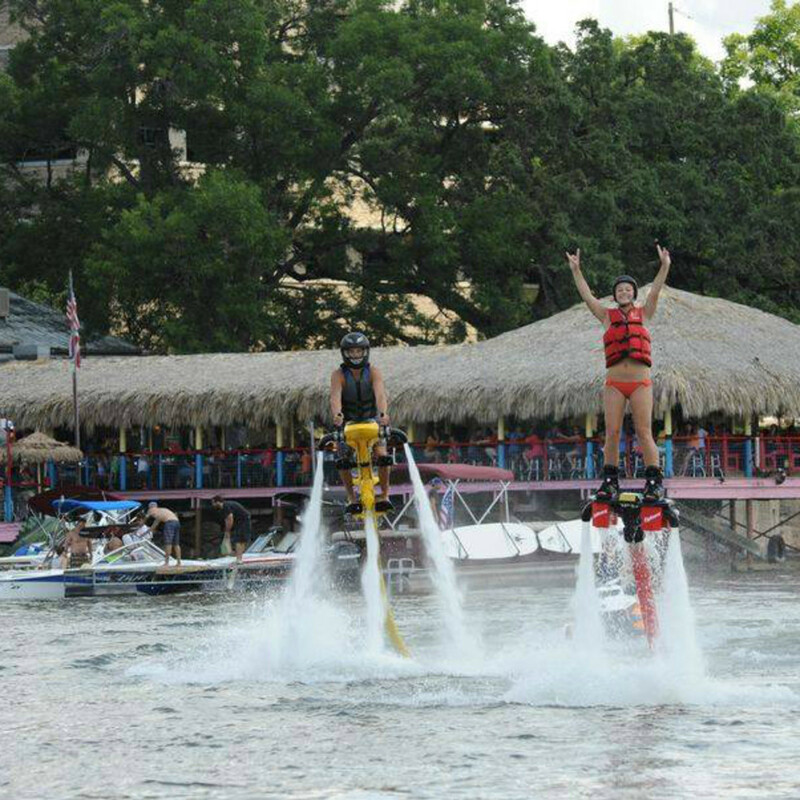 Fly Lake Austin lets you take off and "fly" around Lake Austin in a water-powered jet pack. 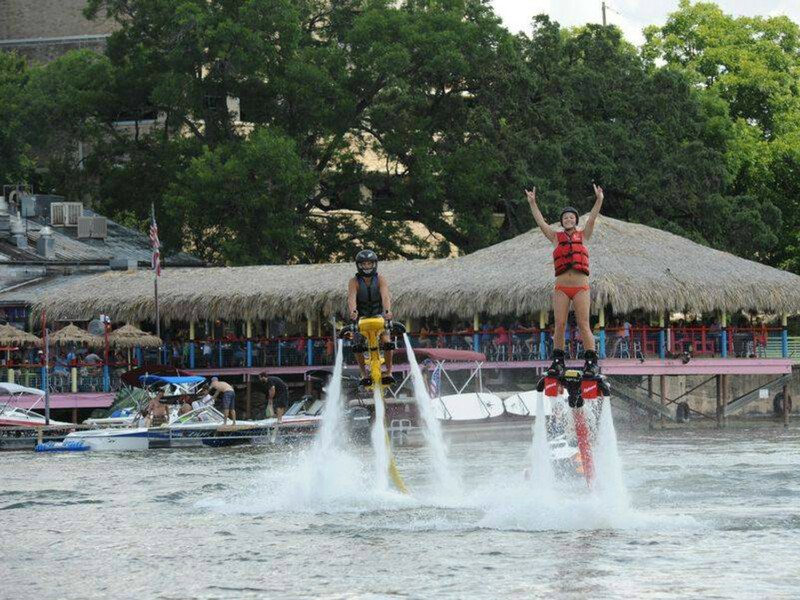 There are two different contraptions to try: a Flyboard, which is strapped to your feet Marty McFly-style, and the Jetovator, a scooter-like apparatus. Texas Ski Ranch in New Braunfels is a great place to wakeboard behind a boat or on the cable course. Bonus: Texas Ski Ranch also has a seasonal snow park where you can snowboard on an outdoor turf course. 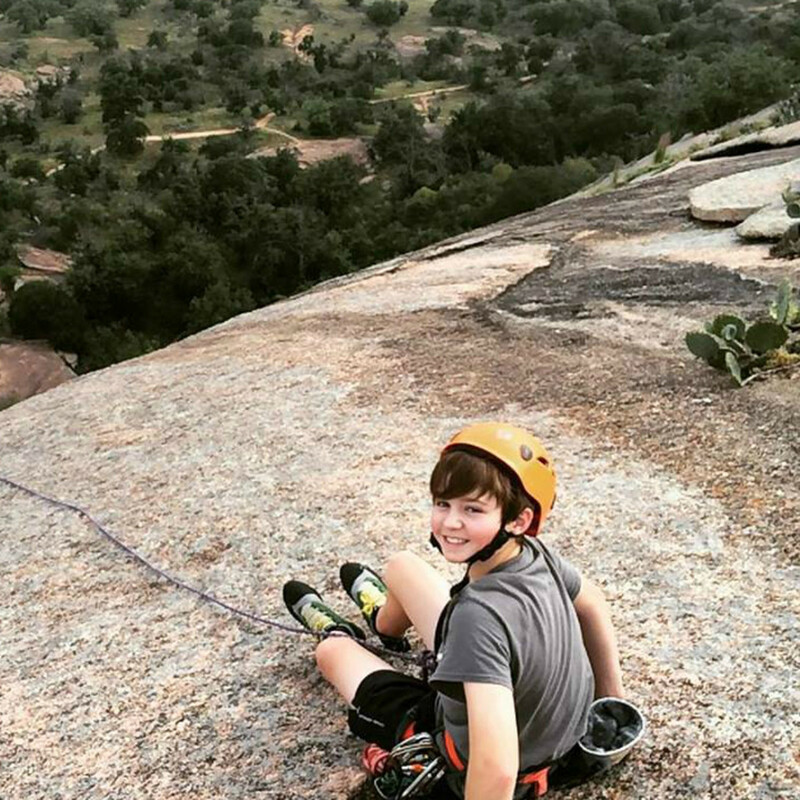 Austin is surrounded by stunning places to rock climb. 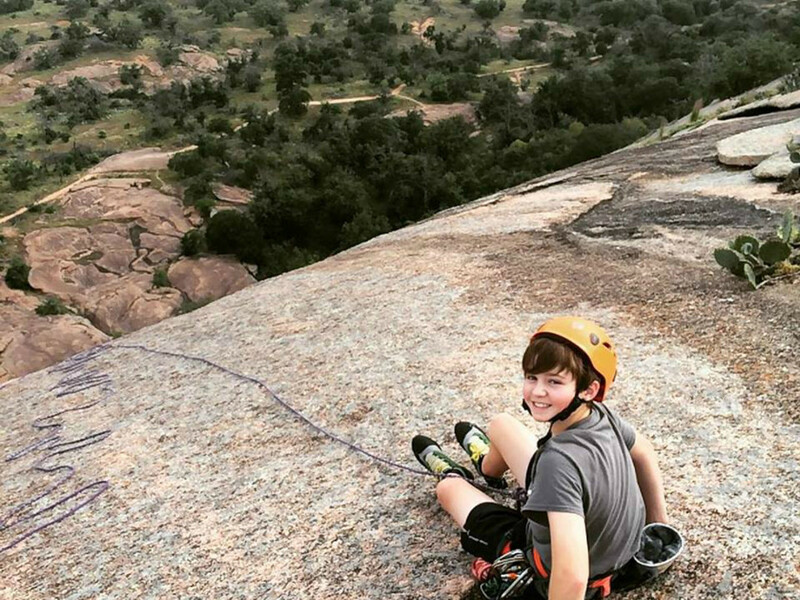 Rock-About offers a "101: Basic Climbing Skills" course, which includes safety instructions and climbs at places like Enchanted Rock, the Barton Creek Greenbelt and Reimer's Ranch. You can also try Austin Rock Gym for an indoor climb. These tracks allow you to race on an extreme outdoor course with professional instruction so you can drive like a champ. NASCAR fans, check out Central Texas Speedway; Formula One lovers should give Driveway Austin a spin. Get tactical with your close friends (or enemies) at Austin Paintball and Xtreme Paintball. No equipment? No problem. These pros will hook you up with a gun, mask and round of paintballs.